Sometimes you come across a neat piece of Star Wars art. Sometimes that one piece leads to another…and another…and soon you’re in a rabbit hole filled with fantastic artwork. Well Mike Mitchell led me on such a hunt when he saw his two Star Wars portraits for Nien Nunb and a Sandtrooper. I was curious to see if he had other portraits, and lo and behold he had dozens. 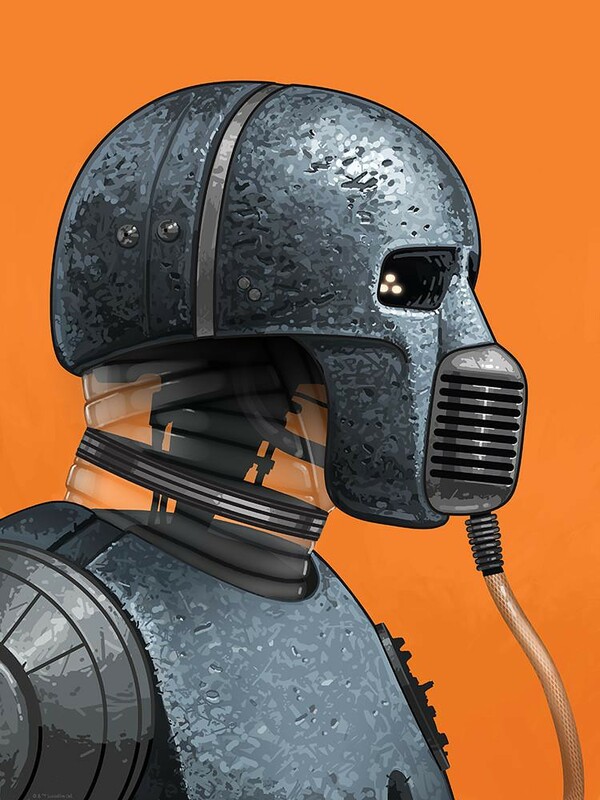 So, we here at the Roqoo Depot Galleria are spotlighting the Star Wars artwork of Mike Mitchell. Enjoy! 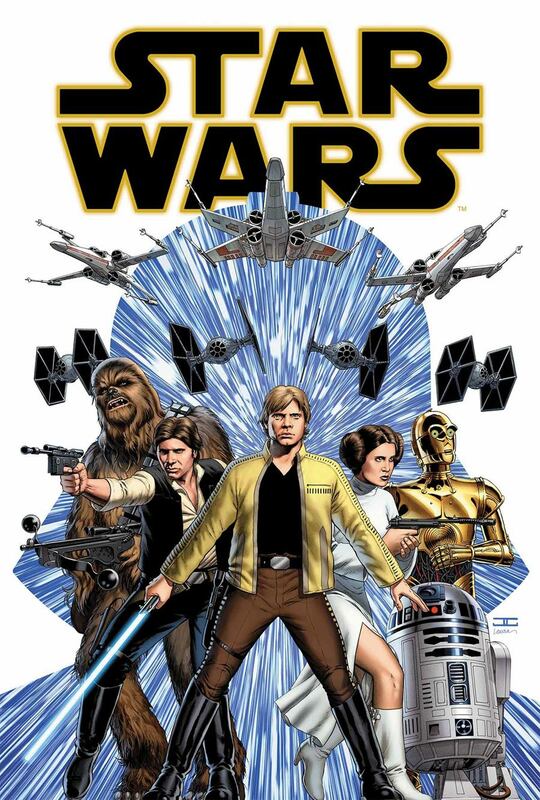 Marvel has introduced a lot of new cover artists to Star Wars, but one of the artists that has truly stood out to my eye is Mark Brooks. From the rich colors and bold lines to the dynamic compositions and intriguing arrangements, his cover art ranges from good to simply amazing. 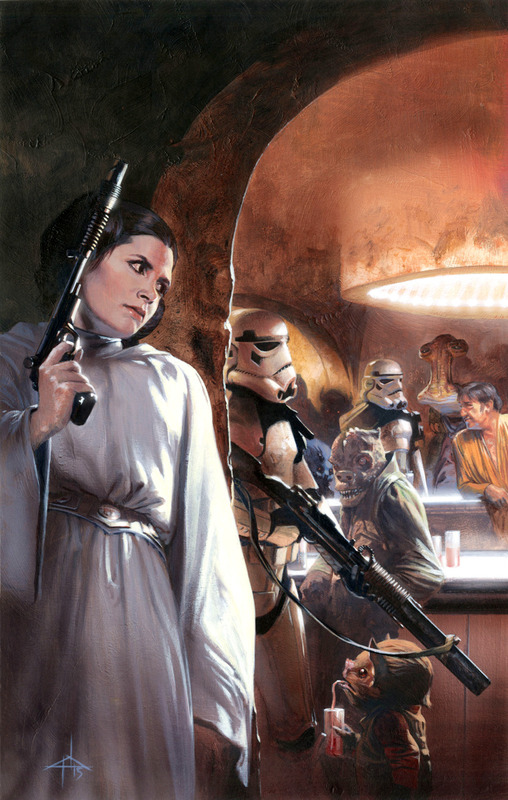 He’s done covers for many of the Marvel Star Wars series including Princess Leia, Vader Down, Star Wars, Darth Vader and the entire run of the Kanan series (minus issue #6). 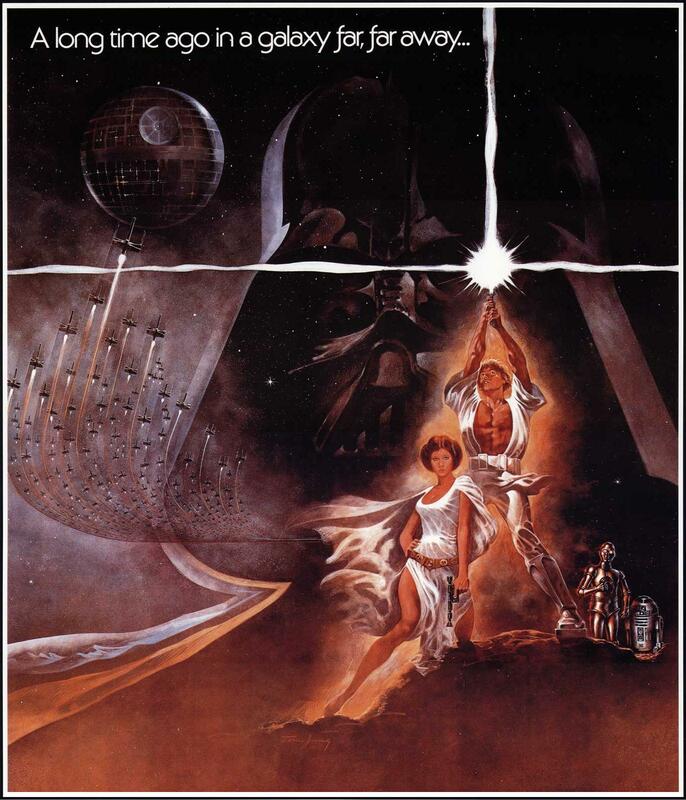 Below you’ll find a near complete compilation of all of his Star Wars cover art to date. Enjoy! 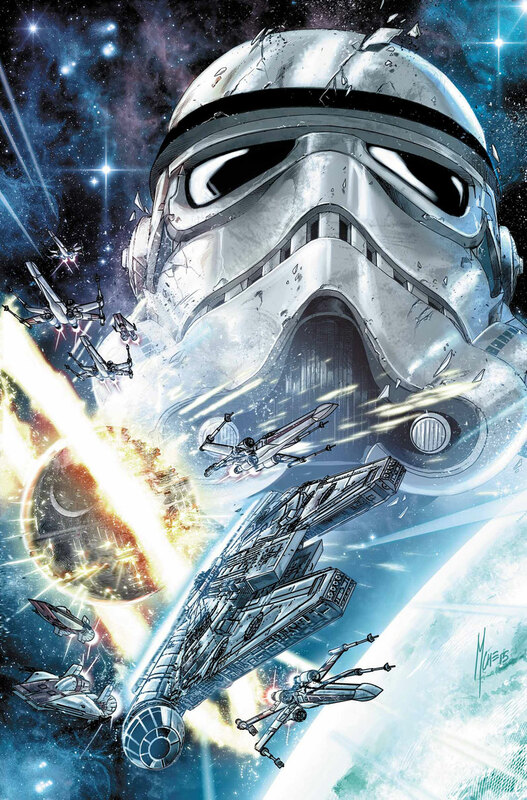 Shattered Empire #1 marks Marvel’s first footsteps in the Journey to Star Wars The Force Awakens. To mark such an event, they’re unleashing a new torrent of variant covers, though not as crazy an onslaught as Star Wars #1. Below you’ll find our gallery for the cover art representing both the final versions and the preliminary sketches and concepts. Enjoy! Christie Golden’s Dark Disciple will be out soon. 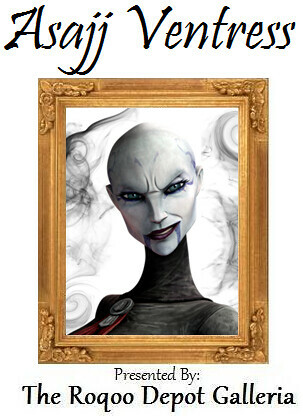 To get fans pumped up, here’s our Asajj Ventress art gallery. Star Wars Celebration Anaheim has a full lineup of artists and exclusive prints for this year’s art show. Amongst that group is a wide selection of artists and art styles. From photorealistic images like Chris Trevas’ “Folly of TK-421” and Brian Rood’s “A New Hope Montage” to more animated pictures like Katie Cook’s “Return of the Jedi” and Grant Gould’s “The Legend of Thrawn”. Fans can also choose from a variety subject matter stretching from the Jawa sandcrawler featured in Malcom Tween’s piece to the iconic Boba Fett in Shea Standefer’s print. To help fans get ready for the show, we’ve gathered together all of the prints for your viewing pleasure. 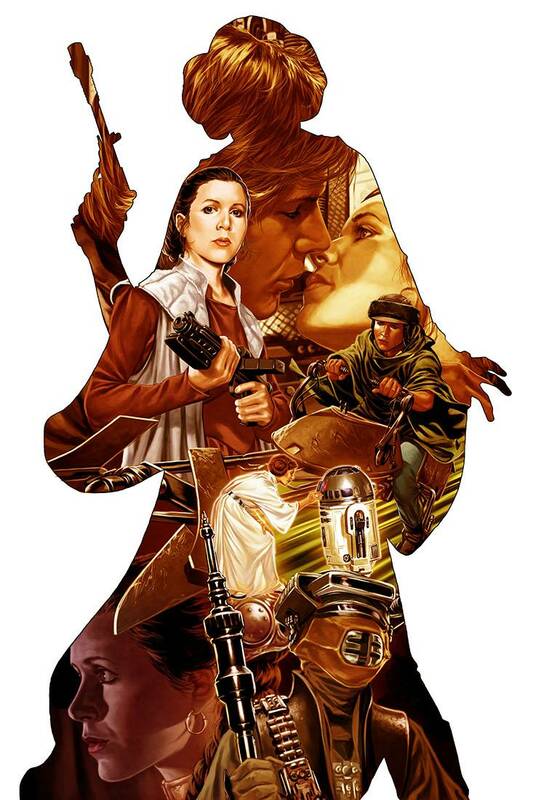 Marvel is raising the bar on cover variants with Star Wars #1. Below we’ve collected a gallery of the cover art. It is not a complete gallery, and not all of the artwork below is official covers as we have included some preliminary art as well as images of just the art, and some of the actual covers (complete with logos). Regardless, with so many variants and artists involved, it’s quite the gallery. Enjoy! Some Star Wars artists come and go, and some stand the test of time like the talented Joe Corroney. Starting back in the West End Game days, Joe provided illustrations for the WEG sourcebooks and campaign guides. Since then, he’s worked on Topps trading cards, comics, posters and magazines. Yet one of the interesting things about Joe’s artwork is the coloring. Almost all of his work is colored by someone else, which can add a unique spin to it depending on the colorist. Everyone has a different style and it’s surprising just how much the coloring can affect the artwork.